The center of my production process is here. 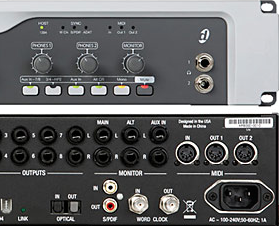 Listed here are the components that play a role in the product; creative audio and pristine signal. From the choice of mastering grade gear to the relaxing environment, each element of this setup was carefully chosen with purpose and project in mind. 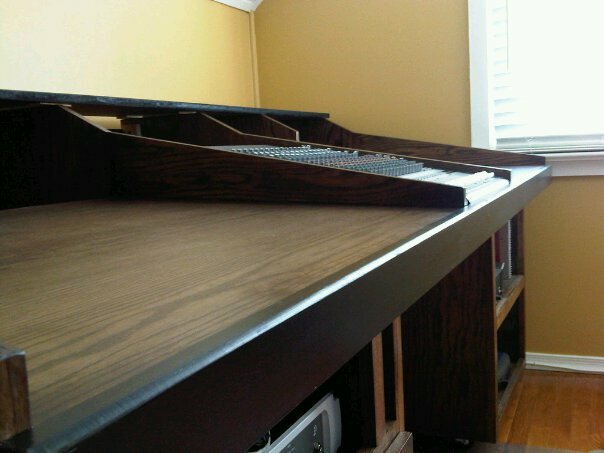 The signal chain is custom routed to minimize audio degradation and reduce the amount of hardware gain stages encountered for each type of project. Where possible, as little as two gain stages are used. 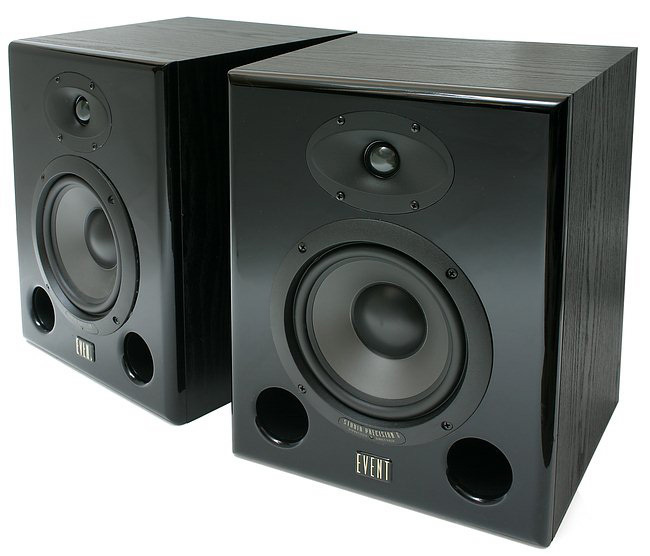 To reproduce the audio, high resolution, high fidelity, reference grade studio monitors are used to identify and analyze the slightest of imperfections. 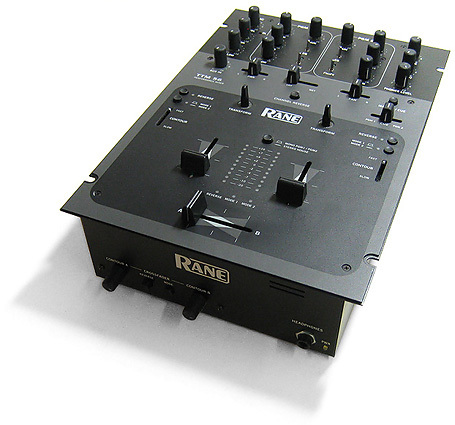 In the following page I'll describe what is used in my signal processing chain. Any million dollar tool deserves shed. 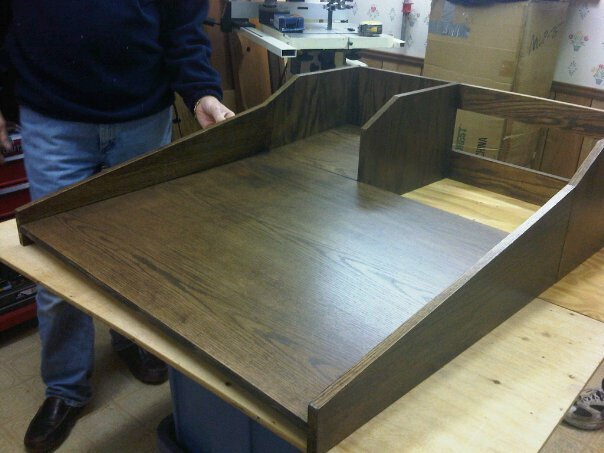 The audio workstation construction conforms to acoustic industry standards was built by Joseph Papetti (check out some of his other work). 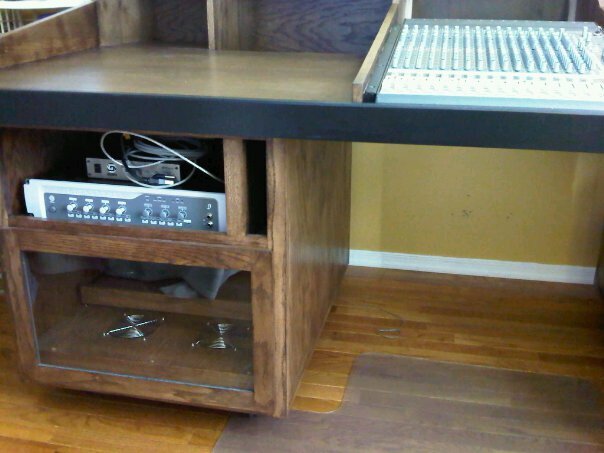 The work area is solid oak and provides all of the must-haves for an audio engineer who works from a project studio. The legs are deep storage and isolation chambers. The following gear list comprises an array of professional grade and consumer grade equipment that I use in nearly every project. Occasionally, I agree to bring in equipment that is requested on a project to project basis. If you have a particular piece with a signature sound, say a two track tape machine, let us know and we will be happy to do it with the appropriate lead time. This is a versatile piece of my setup. Technically, all the editing happens inside ProTools, but there are many particular advantages to having an analog multi channel, four bus mixer with dedicated preamps. The MBP incorporates mastering grade detented pots throughout to fine tune its revolutionary dynamics, tone, and stereo field controls. 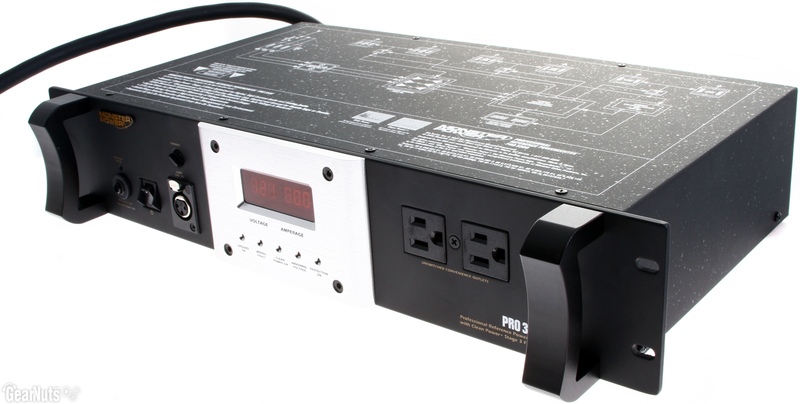 Audiophile-grade PowerCenter that provides better sound, complete protection against electrical surges and spikes. This thing regulates all the voltage that hits the precious gear, like an insurance policy on your gear. Absolute monitoring, true sound recording recreation and configurable response. These are the microscope of the setup. An old 24-bit digital reverb box that has many, many tricks. The VSS-3 algorithm is still one of the versatile tools in the set. 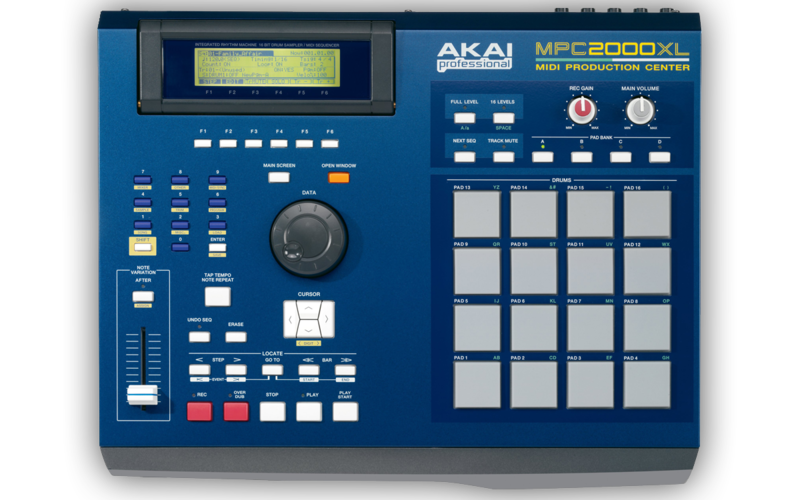 The M3000’s reverb can smooth, accentuate, widen, expand and bury elements of the mix if used properly. A 64-track sampler-sequencer workstation 8 GB of RAM. 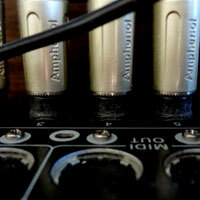 Sampling specs include a cd-quality 16-bit, 44.1 kHz sample rate in stereo or mono. All the necessary edit tools are here: tune, pitch shift, truncate, looping, key placement, velocity effects and more. 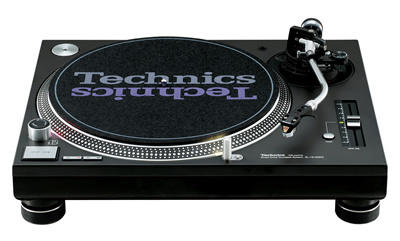 The absolute only turntable, period. 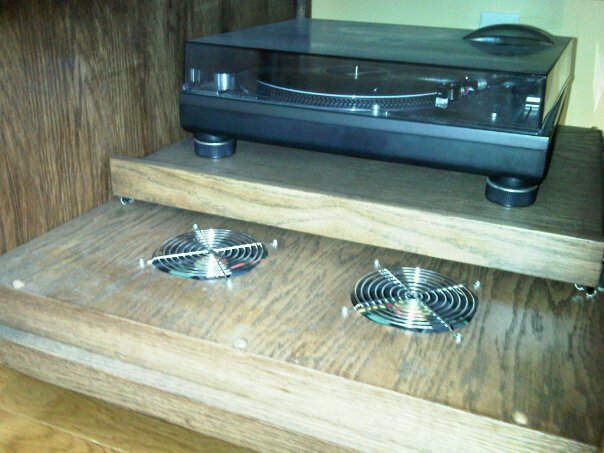 Turntable mixer and source amplifier. 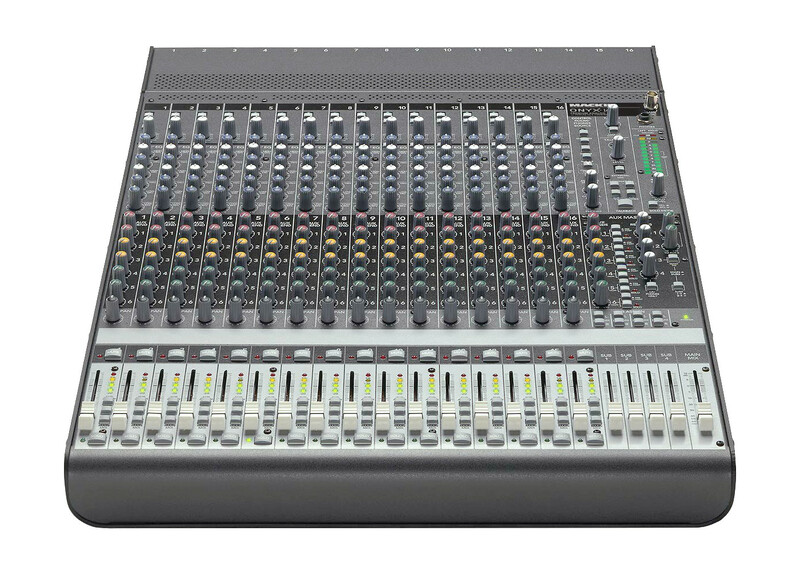 Very versatile to mix and swap sound channels. Gear lists give a general idea of what studios can accommodate but the end result of a single project coming out studios with identical gear can be extremely different. Analogously, a auto mechanic can do more with a wrench than say a person who is not mechanically inclined. As a musician, you will hear some demos that sound like high quality expensive recordings while other demos will sound like low quality or even degraded audio. The difference between the two audio qualities is often the skill of the engineer. 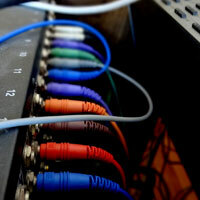 Audio engineering is a highly technical position that often requires years of experience and experimentation. Having exceptional recording equipment or post gear and using it correctly gives an engineer and your sound an edge. © Copyright MJP AUDIO LLC 2010. All Rights Reserved.